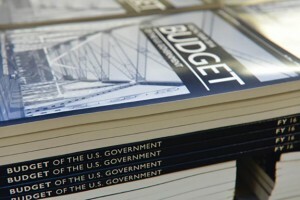 Despite reports that a majority-Republican Congress likely means President Barack Obama’s budget proposal will be “dead on arrival,” he is pushing for more spending in many areas, including education. If President Obama gets his way, the federal Department of Education will get $70.7 billion in funding for fiscal year 2016. That’s $3.6 billion more than the agency currently receives. Education spending only makes up part of President Barack Obama’s nearly $4 trillion plan, but it’s a significant chunk of change. We won’t take you through every cent, but here’s one thing you should keep an eye on: higher education. Getting a degree (and helping students pay for it) is one item taking center stage for Obama and his education secretary, Arne Duncan, in this budget session, to the tune of $4.3 million. Free community college. We’ve been hearing about this idea since the president began previewing his State of the Union address last month. We know the basics: the program, called America’s College Promise, would make two years of community college free and universal, as long as students attend school half-time and maintain a specific GPA. This budget finally gives us some concrete numbers for the initiative: the president is asking for $1.36 billion in 2016, and $60.3 billion over the next 10 years. Technical training. Sticking with the theme of career prep, Obama is asking for $200 million for a proposed “American Technical Training Fund.” The initiative – which would be a joint effort between the USED and the federal Department of Labor – would expand programs that include school-employer partnerships and work-based learning opportunities. In essence, the president says he wants to help workers gain the skills they need to fill jobs in sectors like energy, information technology and manufacturing. Since this is arguably the last presidential budget proposal Obama will hand out before the race for 2016 gets into full swing, the priorities he sets now will likely become conversation pieces during that election cycle. Congress will dive into the president’s request right away, but there is no set date for passage. As for Indiana, Gov. Mike Pence presented his budget to the Indiana General Assembly last month, which also includes a lot of education line items.